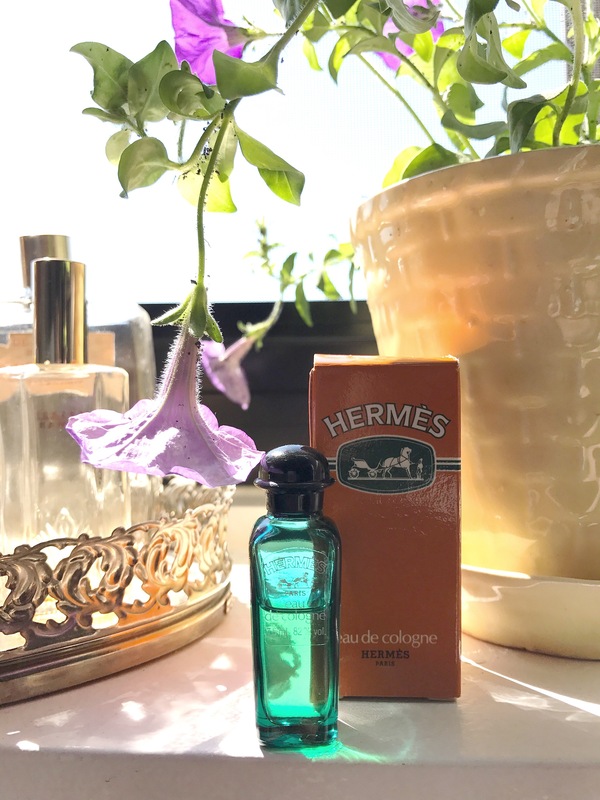 Eau de Cologne Hermès (Hermès 1979) is bitter, fresh… herbal. Perfectly blended. The orange is sublime and mixes with rosemary, basil, exquisite neroli and cedar to create an earthy and serene scent. I can’t imagine a better fragrance for a warm day to feel collected and at ease… More uplifting and bright than many similar classic floral and herbal fragrances but with the same elegance and depth. Top notes: papaya, mandarin orange, coriander, mango, mint, lemon, bergamot, and basil. Middle notes: neroli, orange leaf, lily-of-the-valley, lavender, honeysuckle, and rosemary. Base notes: cedar, oakmoss, musk, patchouli and sandalwood.